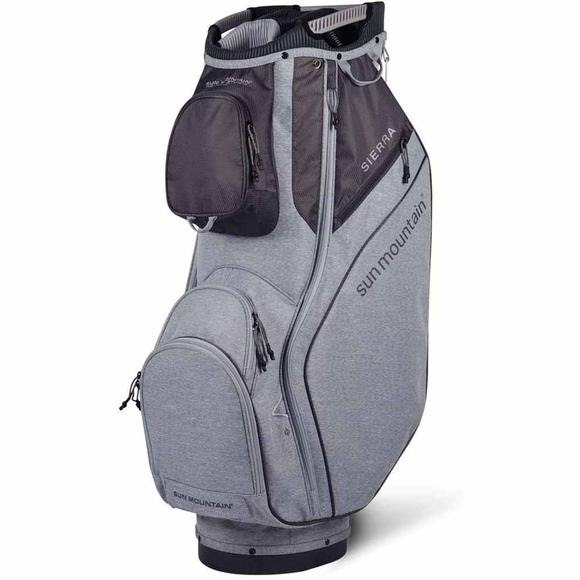 Designed for riding and push cart use, Sun Mountain Sports' Sierra has fourteen individual, full-length dividers that prevent the migration of club shafts and protect your clubs. All pockets are forward-facing so they are fully accessible when the bag is on a cart. Three lift-assist handles are built in to the bag to help get the bag on and off the cart. Designed for riding and push cart use, Sun Mountain Sports &apos; Sierra has fourteen individual, full-length dividers that prevent the migration of club shafts and protect your clubs. All pockets are forward-facing so they are fully accessible when the bag is on a cart. Three lift-assist handles are built in to the bag to help get the bag on and off the cart.